I remember watching “Flipper” on TV as a child. If he is not familiar to you, research him on Wkiipedia. Flipper, a wild dolphin was a family friend of the Ricks family.Like all dolphins, he was ultra intelligent and he helped with law enforcements on the preserve and to rescue people at sea. I loved watching him and used to sing the Flipper Song as a child. That programme taught a generation to love and respect dolphins. A friend and some other people have been protesting outside the Japanese Embassy in London recently against the massacre of dolphins in Taiji, a coastal town in Japan. Thousands of dolphins are brutally slaughtered and the sea horrifically turns crimson into a sea of blood, a Red Sea. The intelligence and altruism of these animald are well documented.The Independent on 21/2/12 ran an article that said marine biologists and philosophers united to support a controversial declaration of rights for whales and dolphins on the grounds that their astonishing intelligence and emotional empathy puts them on a par with humans.Research into the behaviour of whales, dolphins and porpoises reveals that these sea mammals are so highly evolved and complex in terms of their behaviour that they deserve special protection with a universal bill of rights. The proponents of the bill of rights argue the cetacean mind is so advanced and self-aware that whales and dolphins should be classified as “non-human persons” who deserve the right to life, liberty and wellbeing. The declaration of rights for cetaceans says that every individual dolphin, whale and porpoise has the RIGHT to life and libe rty and that not only should they not hunted and killed, but they should not be held captive or as slaves or subject to cruel treatment. It furthers that no cetacean can be the property of any individual or government and asks for the legal protection of their natural environment and a ban on any activity that disrupts their “cultures”, which could include underwater military sonar that disturbs their acoustic communications. 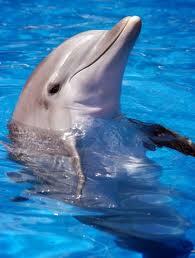 In 1978 Dr. David Nathanson started Dolphin Assisted Therapy (DAT) . This is employed as a therapeutic approach to increase speech and motor skills in patients who have been diagnosed with developmental, physical, and/or emotional disabilities,including Downs syndrome and autism. The dolphins show such unconditional love and support that it has been proven to benefit children and other mentally ill patients by helping them to learn to trust. It is also a popular therapy for handicapped adults.. There have been lots of discussions among the professionals but scientists however are looking into the possibility that the sonar of the dolphins can actually trigger the healing process by increasing T-cells and endorphins. In some cases, scientists have suggested that dolphins actually have the ability to target areas in the human body with their sonar and repair damaged tissue. So the dolphin even serves the military to protect human lives. although it seems that there are criticims which are putting a stop to those practices. What a shame that we do not repay them by protecting them from slaughter or a horrendous life after capture. These are beautiful noble creatures who could teach us so much about community and altruism. Why do we as as supposedly a civilzed race have to be so barbaric ezpecially to a species that has shown us such friendship? 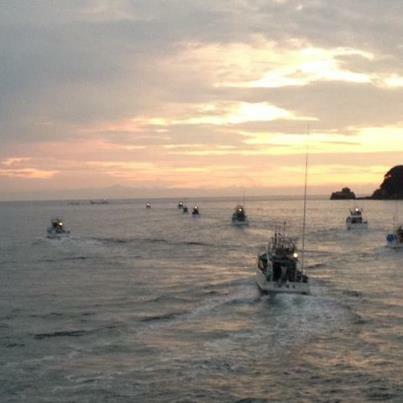 This entry was posted in Animal Work, Dolphin, Taiji Cove and Related Information, Taiji Terror Tales and tagged dolphins, Flipper, japan, Taiji Cove and Related Information, whales. Bookmark the permalink.